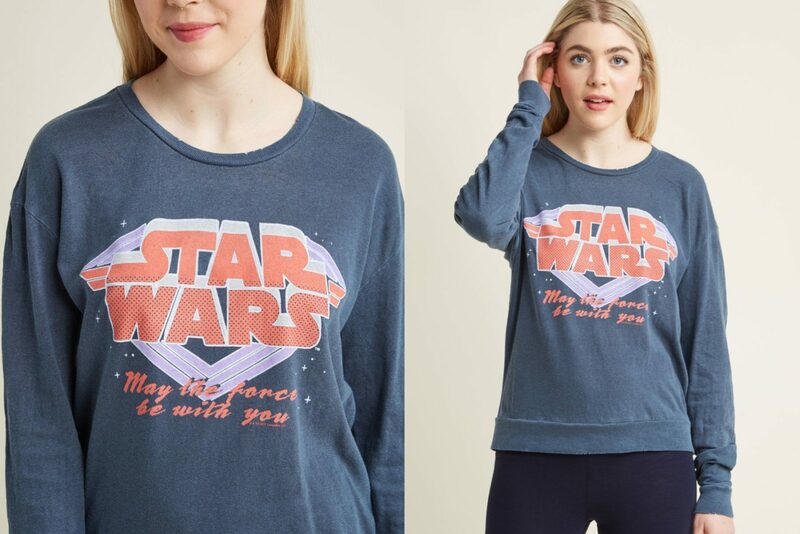 This women’s Star Wars pullover is now available at ModCloth. 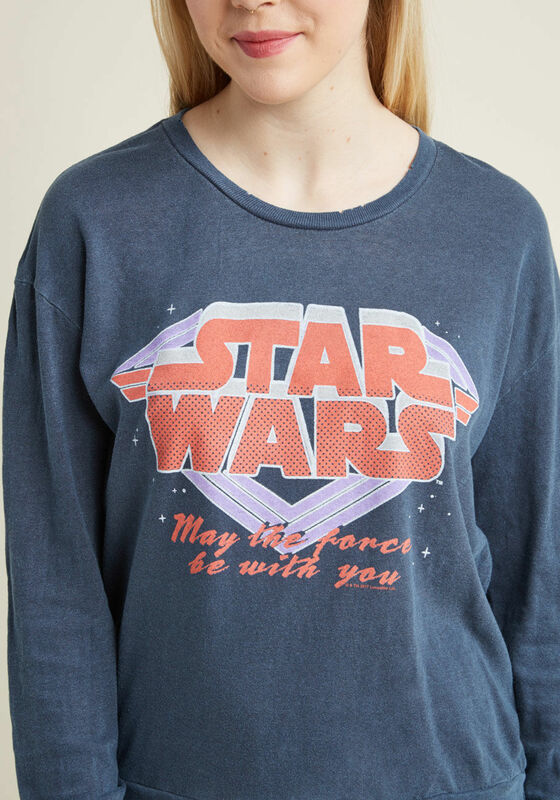 Made from 60% Cotton, 25% Polyester, 15% Rayon, the steel blue lightweight sweatshirt features a front print of the Star Wars logo and the classic quote ‘May The Force Be With You’. 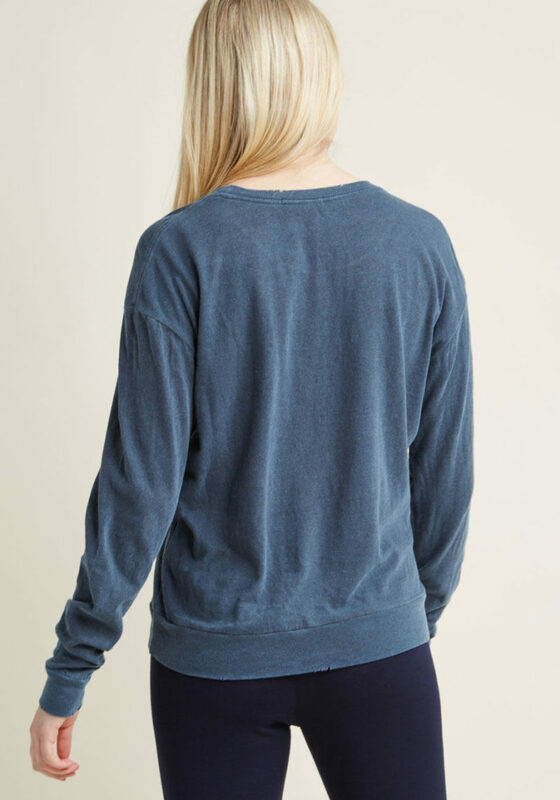 The vintage style design works perfectly with the relaxed style and distressing, giving the pullover the look and feel of a much-loved vintage garment. This lightweight sweatshirt – featuring an ’80s-inspired spin on your favorite space opera – will soon become your number one lounging attire! Designed with a steel blue hue, broken-in distressing, and a red, lilac, and tan Star Wars logo that was given a glam makeover, this top is one you’ll want to clone. 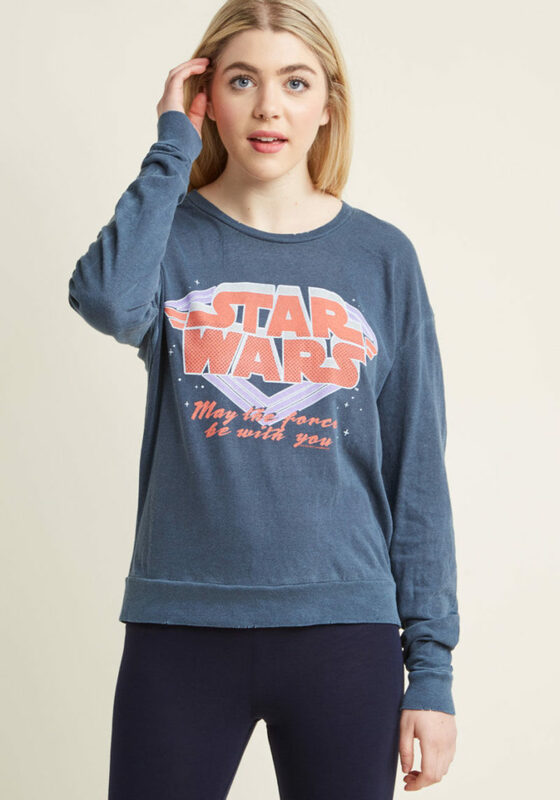 Available in sizes XS to L, the pullover is priced at US$49.00 each – ModCloth can ship internationally, which is great! Photos sourced from and belong to ModCloth.